﻿ Residential & Commercial Custom Glass Installation - Nazareth, PA - Nazareth Plate Glass Co. Inc. Welcome to Nazareth Plate Glass Co., Inc.
Glass offers many benefits. It creates a portal through which one can view the outside world and adds a sense of grandeur to any room. It makes even a small room appear larger while simultaneously giving the eye an escape from the confines of four solid walls. Founded in 1967, Nazareth Plate Glass Co., Inc. provides you with full service, custom glass sales and installation. 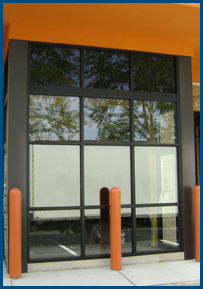 We offer every type of glass you need for your home or business. We provide excellent service in accordance with all customer needs including custom shower enclosures, doors, mirrors, and windows. We install only the highest-quality glass, so you know that all our products will be reliable and long-lasting, saving you money that you would spend on future repairs. At Nazareth Plate Glass Co., Inc., we are professional and prompt in everything we do from start to finish. We constantly strive to meet your needs, whatever those may be. Nazareth Plate Glass Co., Inc.gives you not only quality, but also experience. We hire only the best technicians to ensure that we exceed your expectations. We will even come to visit you for a free consultation before you purchase any of our products. In addition to explaining our services, a consultation will better enable us to provide you with exactly what you are looking for.